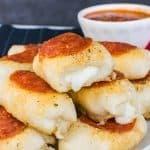 Pepperoni Alfredo Pizza Dip: Layers of cheese, Alfredo sauce, and mini pepperonis makes a fun and delicious dip for game day, for parties, or as an after school snack. *Be sure to sign up for the BruCrew email to receive these recipes in your inbox each morning. Are you completely candied out right now? I figured after a night dedicated to all candy, you could use a cheesy dish of goodness. Was I right? Last night our younger two decided that they still wanted to go trick or treating in the cold. We let them and a few friends go up and down our street by themselves. They are still young enough that I didn’t want them going any further by themselves. Although with the rain and cold, they were perfectly content to let us drive them from house light to house light after they realized just how chilly it was to walk around at night. Yesterday my husband was out picking up a few things for our Friday night pizza night. He called and wanted to know what kind of candy to get for passing out. He really wanted to get the Tootsie Roll mix, but I convinced him to go with the good chocolates. Not that I am against Tootsie Rolls, but I knew if we had leftovers I could use them somehow in my baking. Have you seen these Chocolate Reese’s Cookies or this Twix Fudge? Candy bars are definitely much easier to bake with. With the rain and cold, there were not many kids out trick or treating. So guess who ended up with a huge bowl of candy? Hello, cookies and M&M Blonde Brownies! I’m sure you are tired of even hearing about candy by now. 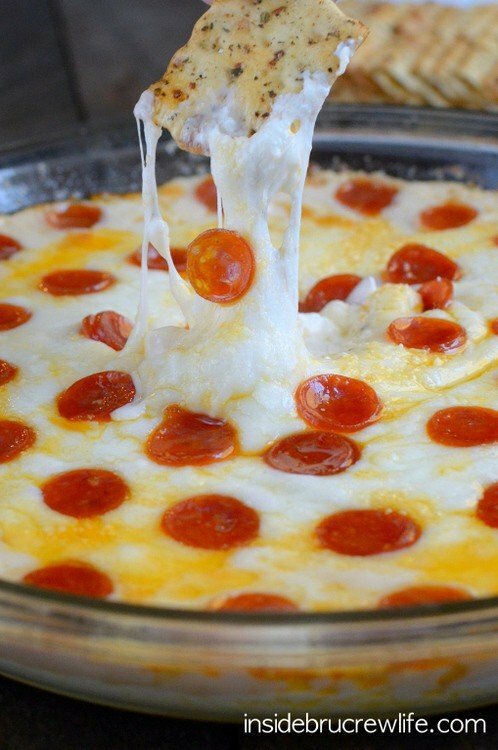 So, how about a pizza dip full of cheese and pepperoni? Oh, and don’t forget the Alfredo sauce. This is one amazing dip! Start by spreading the cream cheese in a plate. Then top it with Alfredo, cheese, and mini pepperonis. Now get ready to attack the plate with some crackers or chips. Gotta love an easy cheesy dip that happen in minutes!!! Cream cheese and Alfredo sauce becomes a delicious dip when melted with cheese and pepperonis. 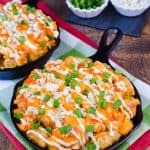 This is a great game day or party food. Preheat the oven to 350 degrees. Spray a 9 inch pie plate with nonstick spray. Spread the softened cream cheese in the prepared plate. Pour the Alfredo sauce on top and spread out. Top with the shredded mozzarella cheese and Parmesan cheese. 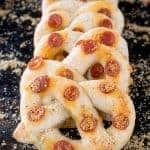 Lay out the mini pepperonis all over the top. Bake for 20-25 minutes. Serve immediately with chips or crackers. What perfect cheesy goodness! And after walking about 5 miles worth of city streets collecting candy with my daughter, I had precisely 3 pieces. And then came in for cheese & crackers! Cheese hits the spot, always 🙂 pinned! This looks insanely good! 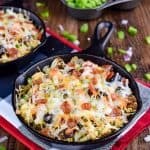 I am all about cheesy dips! Since we don’t have kids we spent the evening at an Irish Pub getting hammered instead of passing out candy. I could literally eat this dip with a spoon. It’s so ooey gooey and delicious looking. This is the dip I’ve been waiting for my entire life. 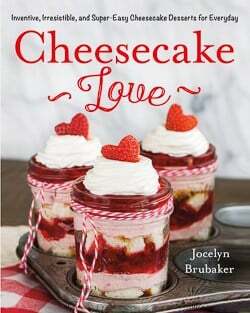 Looks SO good, Jocelyn! Lovin the addition of alfredo sauce into the mix. Because alfredo sauce is one of the best things ever! Alfredo sauce is definitely one of the best things! 🙂 Thanks Julie! This dip looks fantastic, Jocelyn! I think I could eat this whole dish by myself. I love the alfredo flavor, too! 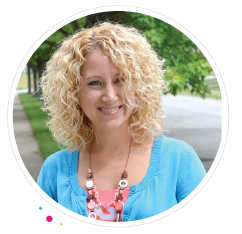 It was raining and cold here too – I had to turn back home after only 10 minutes with our daughter while my husband took our son around for another hour. This cheesy dip would totally have hit the spot after that! Love the alfredo sauce in here! Gotta love the rain on Hallooween night! 😉 Thanks Kelly! I’ll take alfredo over marinara any day of the week. 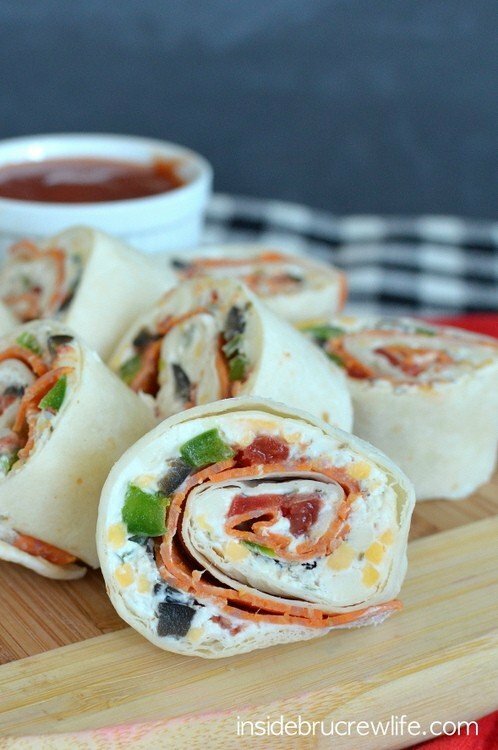 This looks so delicious, and perfect for game day! I am loving all of that cheesy goodness in this dip! Carrots+this dip=dinner!! 😉 Thanks Wendy! This sounds so yummy!! I can’t wait to try it out. I might be candied out but I’m never cheesed out. I <3 the alfredo addition! 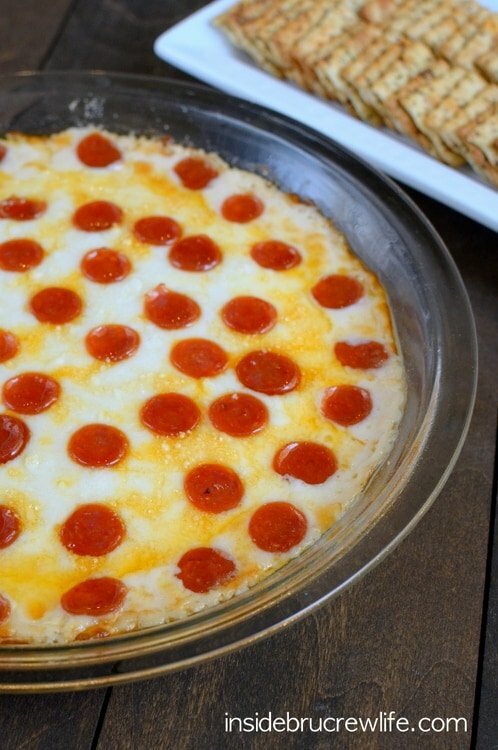 That makes pizza dip 10x better. This is a foodie's dream dip Jocelyn! I want this whole dish of cheese! Gosh it looks amazing! We walked all over our neighborhood with the kids-even Christian had fun getting candy. 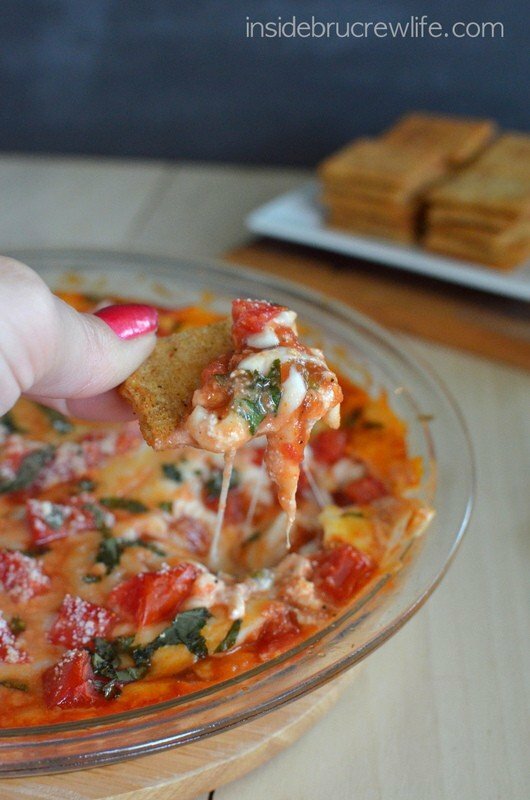 I love all the cheesy goodness in this dip! I can’t wait to make this dip at our next tailgate party! 🙂 Pinned! 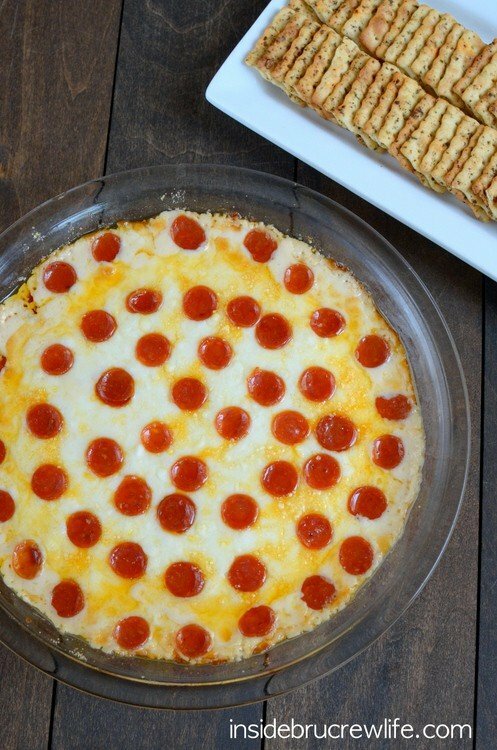 Pizza in dip form sounds (and looks) AMAZING! 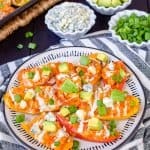 Such a nice fun twist on cheesy dips! Pepperoni pizza is the beeeeeeeeeest, yo! I want it in everything! (when I was a kid, I totally wanted the Midas Touch powers, but to turn everything into pepperoni pizza). 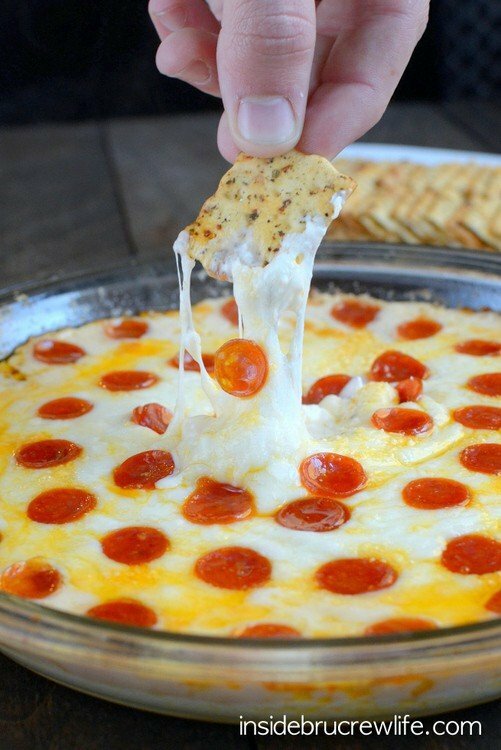 This cheesy, pepperoni-y, dippy goodness needs to be in my life like… yesterday! Haha! You sound like you were an awesome kid!! 😉 Thanks Amanda! 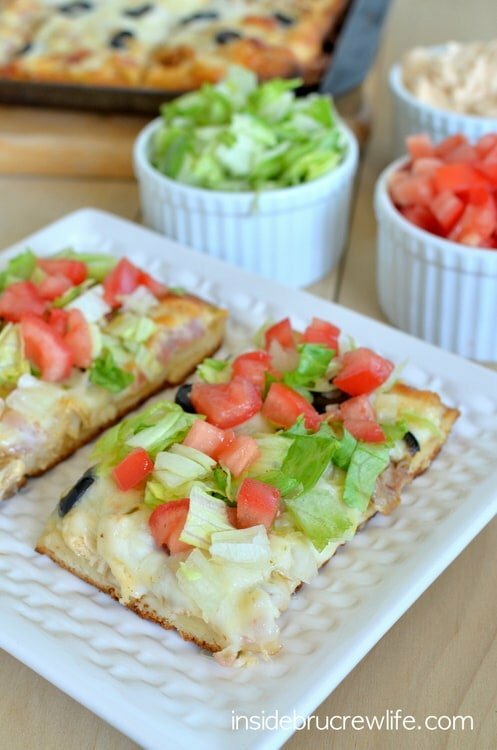 Oh my…you just rolled our families love of pizza and alfredo all into one dish! Amazing! Can’t wait to try this! I think I would hide in a corner with the bowl of dip and eat it all! 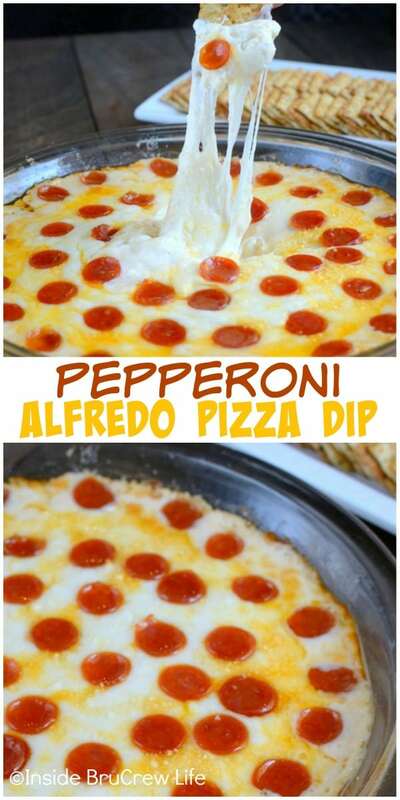 LOVE Pepperoni Dip and the fact you made it with Alfredo is awesomeness!! Comfort food heaven Jocelyn! Love this! That’s definitely my kind of heaven! 😉 Thanks Trish! Thanks for the great idea! My family gets together in the fall for football games and we get in a rut eating the same old appetizers (7 layer dip,etc). 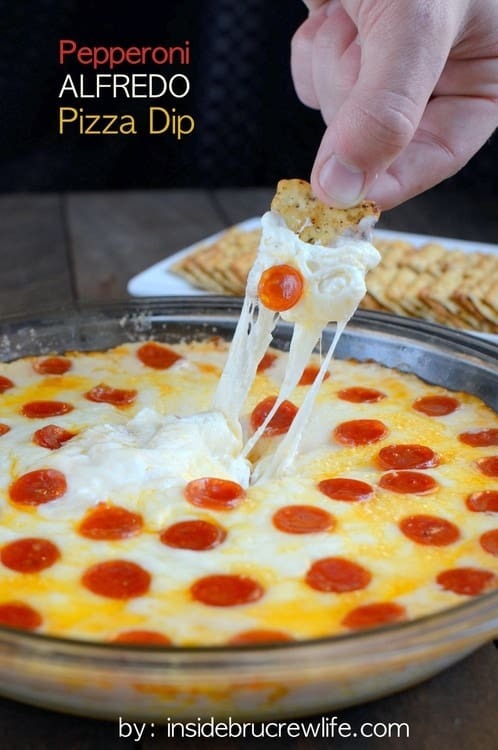 This pizza dip was a hit with my wifes friends and was easy to make. Thanks for sharing. 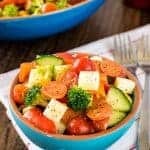 I tried this recipe for my last get together and my friends love it!